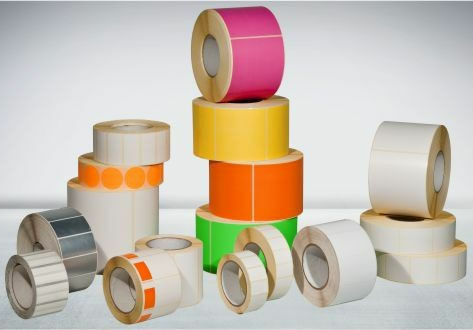 Self-adhesive label / thermal transfer / paper / polyester - IBERTOPJET, S.L. Packing - Handling - Logistics > Packing and Packaging > Adhesive label > IBERTOPJET, S.L. Rolls can be customized in terms of label number and core diameter. Available materials range from the traditional Vellum paper to weather-resistant plastic compounds (PVC and polyester). Colours can be customized upon request; transparent and metallic labels are also available. Thanks to the use of the finest raw materials and stringent quality tests, we can ensure the highest quality and performance of our products.